The following article appeared in the Winter 2018 issue of Mary’s Miraculous Medal Family Newsletter, published by the Central Association of the Miraculous Medal in Philadelphia, and edited here. This year marks the 170th anniversary of the Vincentians’ Eastern Province in the United States – learn more here. The event, which took place in the days leading up to World Youth Day 2019 and gathering 466 indigenous youth from around the world, was a celebration of their faith in Christ from the richness of their particular cultures. The Vincentians of the Eastern Province have been serving as missionaries in Panama since the building of the country’s famous canal in 1914. Popular missions in the “canal zona” quickly turned into permanent missions throughout the national territory. Part of the Vincentians’ history has been ministry among Panama’s indigenous peoples in the provinces of Bocas del Toro, Darien, Chiriquí and elsewhere. In the 1980s, Father Charlie Schuster, C.M., a Vincentian missionary from Baltimore, began horseback mission trips through the mountains to minister to the indigenous Ngäbe, the most populous of Panama’s seven indigenous peoples. Indigenous people in Panama, as in most countries, are the poorest populations and suffer greatly due to lack of access to basic health and educational services. After 10 years of mission trips into the territory, Father Charlie established the first permanent Catholic mission in the indigenous land. There he set up small chapels in the various villages, began organizing projects to assist in agricultural production, and built the first health center in the region. 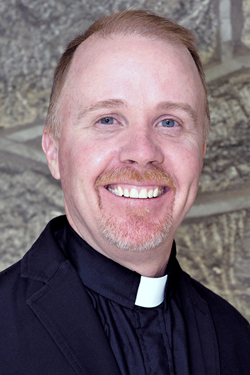 A second missionary, Father Joe Fitzgerald, C.M., arrived at the Soloy mission from Philadelphia in 2007. He assumed pastoral responsibility in the distant villages that Father Charlie could no longer reach, as some involved hikes of up to 10 hours though rough mountain terrain. Father Charlie passed away in 2011, leaving a legacy of faith and commitment that continues to motivate the community of Soloy today. In 2012, the Soloy mission was converted into the first indigenous parish in the Diocese of David, the parish of St. Vincent de Paul, which has flourished with an additional two Vincentian priests from the local area. With over 50 villages in the mountains, the parish continues to maintain a missionary spirit and structure. It relies heavily on programs that provide basic necessities such as health, education and food production, which continue to be central works of the mission alongside the direct evangelization through catechesis, lay formation, youth groups, popular missions and the sacramental life. During Pope Francis’ visit to Panama, he saw a nation fully alive in their devotion to Christ. For many in the region, this vibrant faith is the result of the seeds planted by the Vincentian missionaries during decades of service to the Panamanian people.